Finally: my first book is almost ready. An open and honest book about my lives journey on my way to success and leadership with lots of inspiration for your own path. Enjoy my stories and insights or surprise a loved one or business relationship with my book and pre-order your copy. Do you want to be one of the first to receive a hardcover copy signed by me? I would be happy to send your copy to you free of shipping costs. So take advantage of this offer an place your order no later than June 30th. 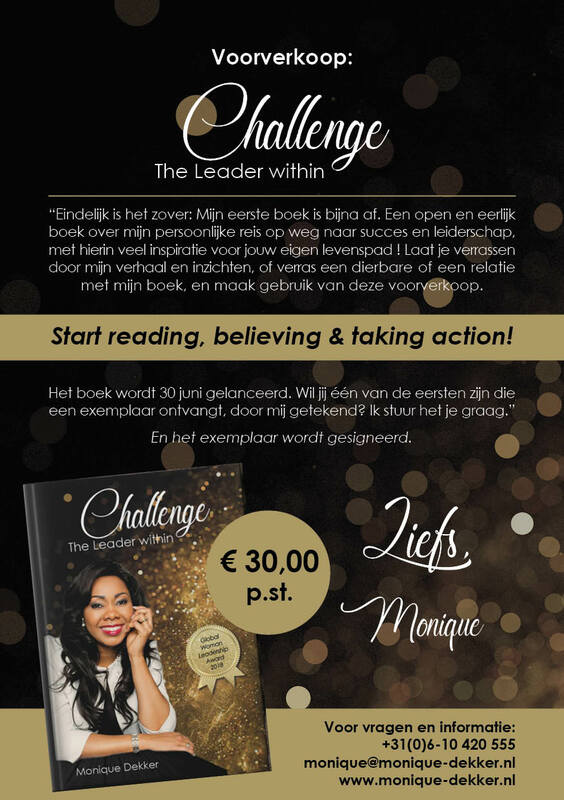 In my book Challenge The Leader Within, I share my own life story; experiences, lessons and insights, difficult times and victories, people on my path and the influence of our living environment. Everything that helped me develop my self-leadership and brought me to the point where I am today. All the people and circumstances that have guided and inspired me to live my full potential. How can you challenge yourself to live your full potential in the here and now? Will you go with me on an inner journey, to the core of who you are? And will you recognize some of yourself in my book? I bet you will! Achieving your full potential is not a destination.